Gameplay-facilitating trainer for Shadows: Awakening . This trainer may not necessarily work with your copy of the game. 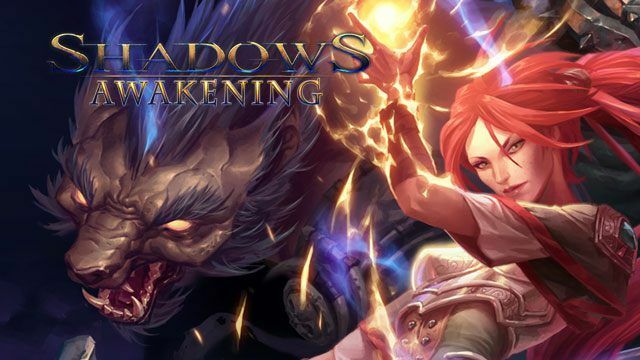 Available here: Shadows: Awakening Trainer. Numpad 1: Unlimited Health - while in the game and you can see your health meter, toggle this on. Numpad 2: Unlimited Mana - while in the game and you can see your mana meter, toggle this on. Numpad 3: Fast Skill Cooldowns - make sure you use a skill at least once and then toggle this on. Numpad 4: Easy Add XP - you need to kill something to earn XP, then toggle this on and then from that point onward when you kill something you earn the amount shown in the trainer instead of the normal XP. Numpad 5: Easy Set Gold - collect some gold at least once, then toggle this on and the next time you collect gold you will have the amount shown in the trainer.